On “Adventure Rhyme” Neva continues diving deeper into his underground rap referencing, syllable cramming style to great affect, sometimes hitting the listener with stream of conscious wordplay (MGNTK/[Bullet Proof]) and sometimes pretty straight forward storytelling (Press Run/Thank you Cali, the latter of which I get a little shoutout in). It really is UllNevaNo’s confidence that shines through and pulls you in. 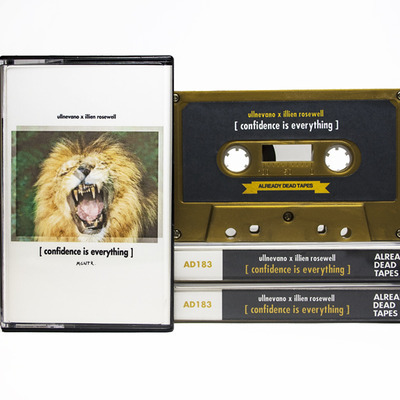 And speaking of “confidence,” UllNevaNo and Illien’s release “Confidence is Everything” recently got a re-release through Already Dead Tapes. If you’re into the throwback format, you definitely gotta pick a cassette up.